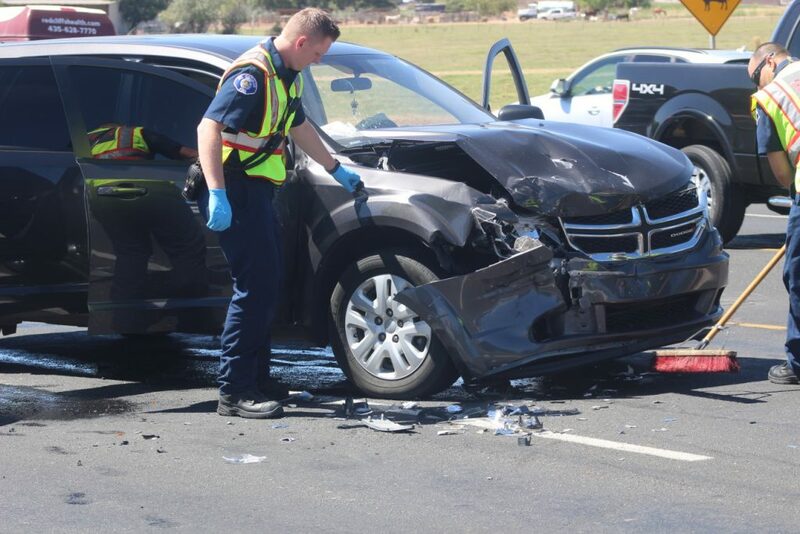 ST. GEORGE – Eastbound traffic on Riverside Drive west River Road was slowed to a crawl Monday afternoon following a collision that injured three people. 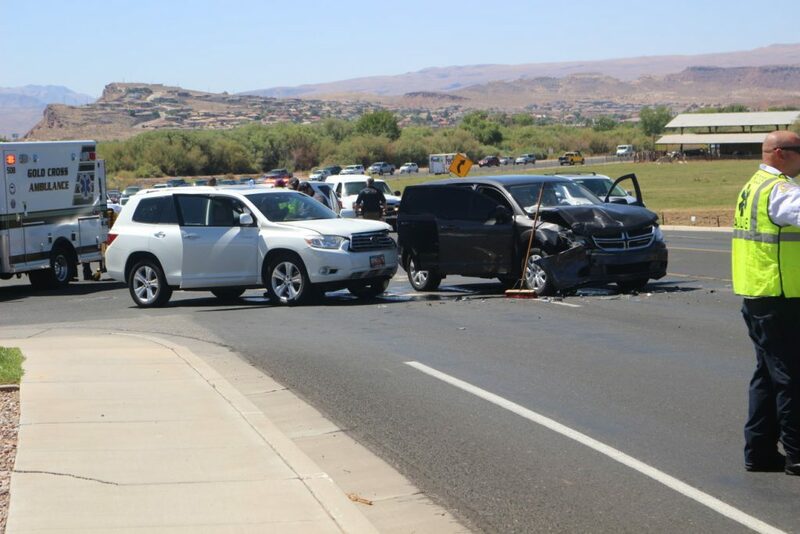 The collision occurred around 1 p.m. when the driver of a white Toyota SUV attempted to turn left out of a parking lot at 1050 E. Riverside Drive into the eastbound lanes and collided with an oncoming Dodge SUV in one of the westbound lanes, St. George Police Sgt. Spencer Holmes said. 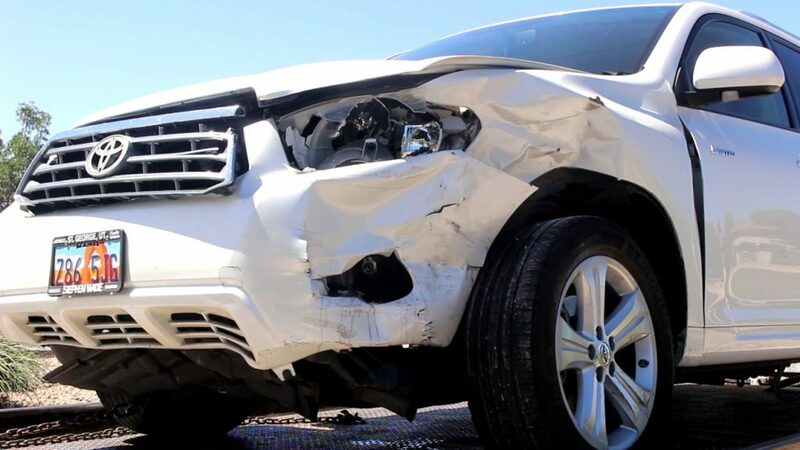 The collision resulted in visible damage to both vehicles that ultimately required their being towed from the scene. Both drivers and a passenger from the Dodge SUV were taken to Dixie Regional Medical Center by ambulance. None of the injuries the three received from the collision were life-threatening, Holmes said. 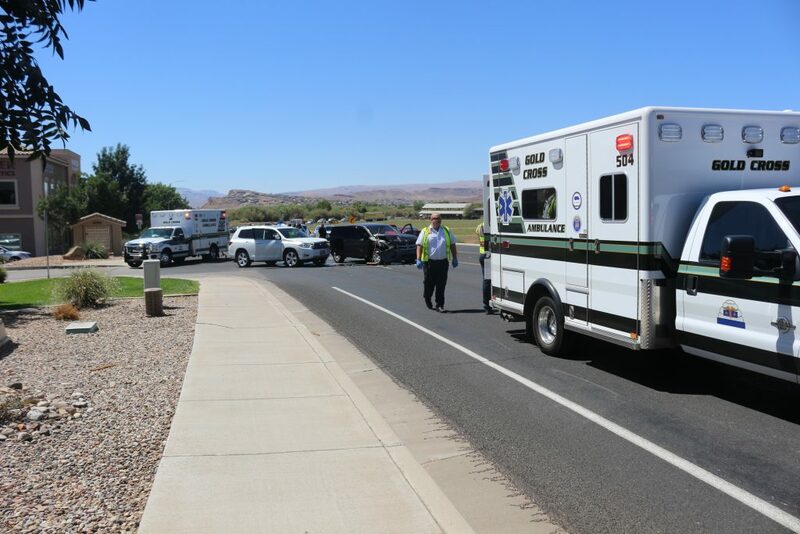 After police and other emergency responders arrived at the scene, they closed off the westbound lanes leading to the collision and funneled the traffic into a single lane. Eastbound traffic passing the collision was also reduced to a single lane for a time. Traffic returned to normal shortly after 2 p.m. once the scene was cleared. The driver of the Toyota was cited from failing to field to oncoming traffic, Holmes said. Gold Cross Ambulance and St. George Fire also responded to the incident. 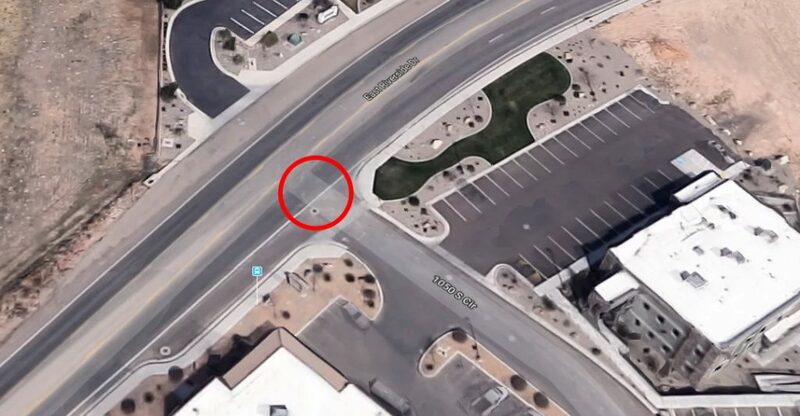 by showing the location on a map view of where the accident happened.